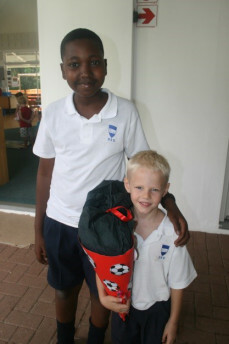 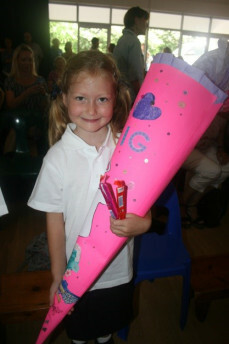 The DSD welcomed 12 pupils into Grade 1 this year at a special “Einschulungsfeier” on Wednesday 20 January. 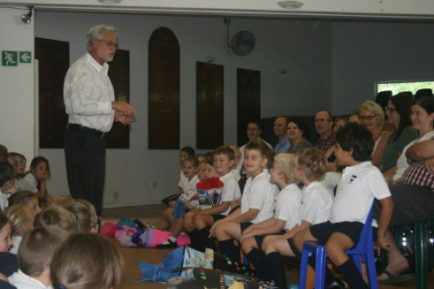 Excited pupils, parents (and even some grandparents) were part of the special ceremony at which the Kindergarten, the Grade 2 to 7 pupils and all the staff welcomed the Grade 1s to “big school”. 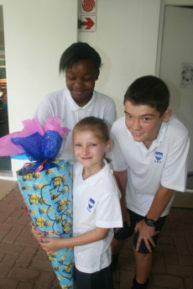 No Einschulungsfeier at a German school would be complete without the traditional “Zuckertüte”, and our Grade 1s arrived at school carrying some very impressive Zuckertüten!